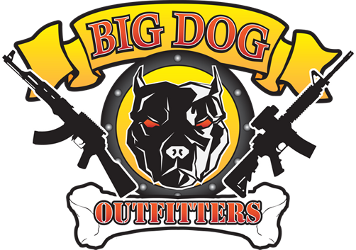 Dog Outfitters is a small family owned and operated business founded in 2008 focusing on outfitting the local community with all their firearm needs. Whether it is hunting, target, sporting or personal defense, we are the place to come. Our friendly and knowledgeable staff are all avid firearm enthusiast with decades of experience. We carry products from hundreds of manufacturers. If you can't find what you are looking for, please ask one of our sales associate!